PR and SEO can work closely together to build a brand’s credibility and search visibility through valuable, relevant content, which accrues quality links. Both teams (or individuals, or agencies) should share ideas and knowledge in order to build link authority for your website, improve rankings in the search results and increase brand awareness. In an ideal world, SEO would get involved at PR’s planning stage to discuss to ensure key messages, target keywords and overall marketing goals are aligned. Content should be created to set your brand apart from the competition but, to be picked up and shared, it needs to be content that users are searching for in Google. SEO has the stats to recommend and inform PR about this. As seasonality plays a key part in SEO, this should be a consideration when creating content for PR. There is more search volume at certain times throughout the year for different themes and topics, and it’s more beneficial to create targeted content when seasonality is high for a particular theme or topic. The SEO team can provide this data and this is something that should be taken into consideration when creating the content calendar. You may be bursting with pride about how great your business is, or excited about your new product launch, but unless you’ve developed ground-breaking technology or discovered a cure for the common cold, the chances are that few other people will share your enthusiasm. As every PR guru knows, you have to make your brand newsworthy to garner interest. An effective way to do this is by tying your brand into a trend that’s current and that people are already interested in and talking about – this is where SEO expertise can add value through keyword research, competitive analysis and monitoring search and social trends. Can you take a humorous angle, or help people with a problem that’s a hot topic? Consider how you grab people’s attention and set your brand apart. It’s important that the connection between your brand and the trend feels natural, not forced. 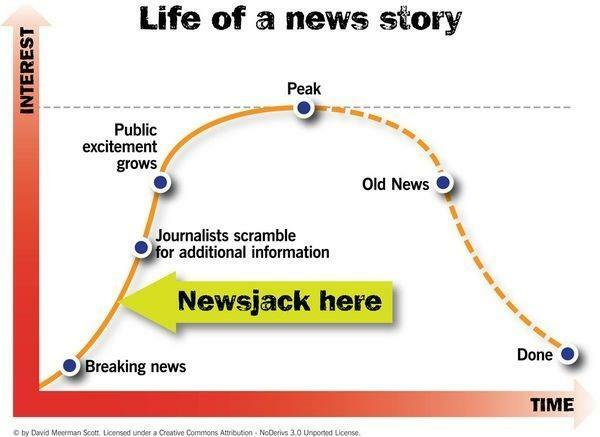 Otherwise known as newsjacking, with this type of real-time marketing, timing is everything. A great example of newsjacking was an ad published by The Guardian following the death of Margaret Thatcher, aimed at promoting an upcoming feature in the newspaper. 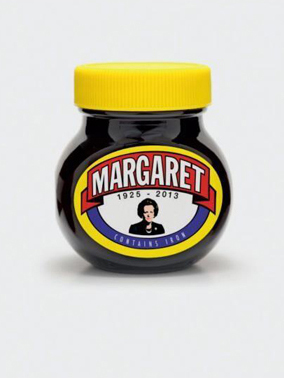 Tying your brand to a death can be a risky strategy, but this piece of newsjacking has been carefully thought out; tasteful and balanced, whilst cleverly playing on Marmite’s reputation for dividing opinion (‘you either love it or hate it’) and ‘contains iron’, in reference to Thatcher’s nickname, ‘The Iron Lady’. PR companies and professionals typically have established relationships in many industries and with news organisations that can gain high authority earned links. Creating lots of valuable content and distributing this online across relevant of sites can create buzz for a brand and boost brand awareness. However, opportunities to boost your site’s authority (and help bump it up in Google’s SERPs) by adding internal, followed links can be missed without optimisation. Links play an important part in search engine rankings by passing authority from one site to another, almost like a vote of trust; the more votes of trust you gain the better your site is seen by Google. This is where SEO expertise can perfectly complement PR’s efforts: by identifying which keywords need a ranking boost, and which URLs need to be leveraged. The link (anchor text) should read naturally within the content and consist of words which relate to the target page such as ‘search marketing consultancy’ or can be branded such as ‘Click Consult’ (as in the example below). Only 1 link per article to each target page should be included and the most relevant landing page to the content should be the page linked to. Another bonus for a combined PR/SEO effort is that it enables both teams to share reporting data to demonstrate how their activities are impacting other areas of the business. To collaborate successfully, as with so many other things, the key is communication. Want to find out how to extend the reach and impact of your content and brand? This eBook explains how to do outreach effectively, by building relationships with relevant influencers and who will share your content with their audience – earning you valuable inbound links to boost your site’s authority, as well as exposure to a targeted audience. Download today! Trending terms – should content reflect short term fads?